A monthly Welsh language non-denominational periodical that published articles on politics, antiquities, science and current affairs, alongside poetry. The periodical was edited by the labour leader and author, William John Parry (1842-1927), with John Pritchard (Gaerwenydd), R. Iwan Jenkyn, J. M. Jones and J. T. Parry deputy editors. 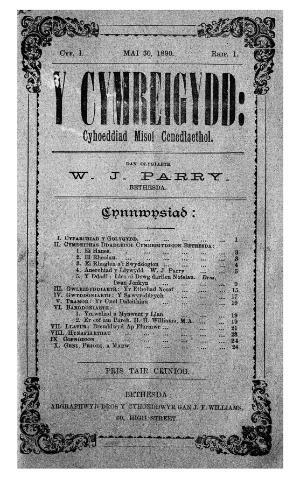 The periodical was linked to the Bethesda Welshmen's Debating Society.